Hello, I would like some help to ID this lovely fella. I'm prety sure is common but I have never seen it in the ocean neither pictures. It is from the Indic Ocean at the north of Mauritius Island. 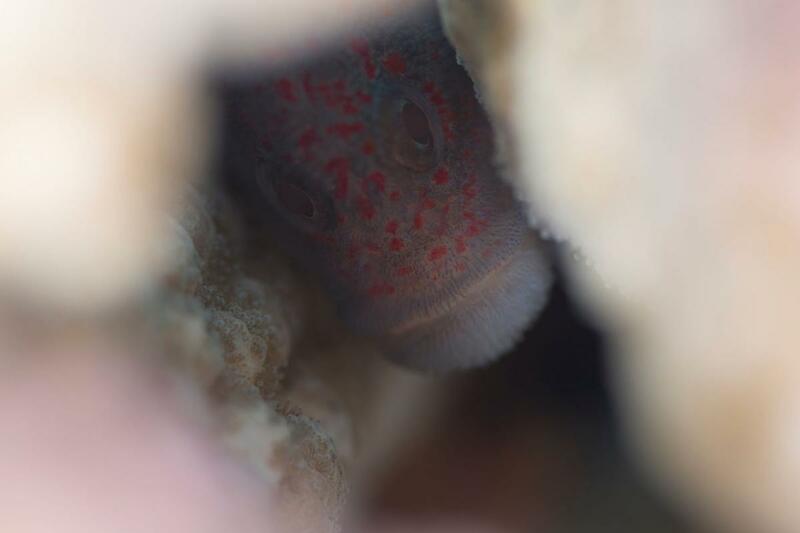 I'd say blenny rather than goby. There are a number of them with red spots on a brown body.....but more of the animal would be needed to tell them apart. Take a look at Cirripectes springeri and C. variolosus and C. stigmaticus, for example. Thank you very much Wolfgang, I would have never identified it by myself. Since I found it inside an acropora, I will go with Spotted coral croucher. Nice! Didn't know that one.